While several U.S. nuclear engineering programs have components dedicated to nuclear security and nonproliferation policy education for their nuclear engineering students, many do not. By engaging students and professors from the U.S. and abroad, the FAS Nuclear Education Project provides students, professors, and the general public with diverse and thoughtful examinations, analyses, and proposals for equipping the next generation of U.S.-trained nuclear engineers with the policy knowledge necessary for an informed ethical understanding and dimension to their technical work and training. Professors and graduate-level students contributed comprehensive working papers across a wide spectrum of elements pertaining to nuclear education. The working papers are free and publicly available for education and information purposes. 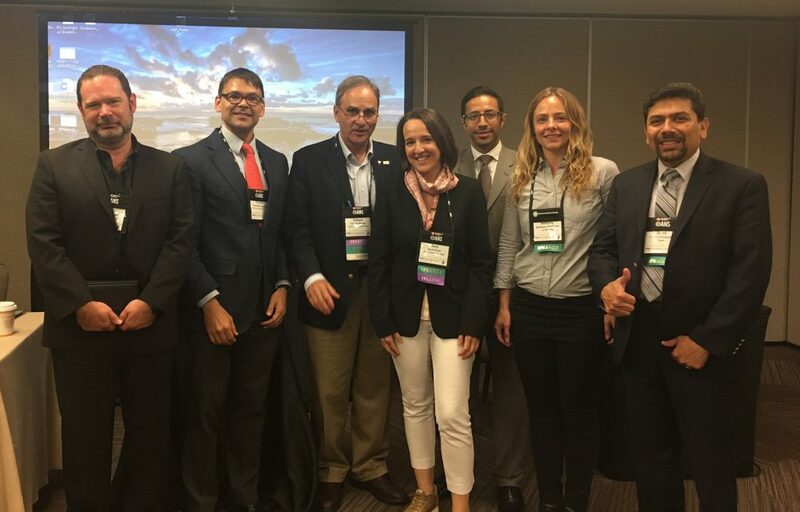 At the 2017 American Nuclear Society Annual Meeting (download official program), FAS President Charles D. Ferguson presented at and organized a panel titled “Establishing and Advancing Nonproliferation and Nuclear Policy Education at U.S. Nuclear Science and Engineering Programs” (chaired by Gilbert Brown). The panelists featured practitioners at the forefront of nuclear security and nonproliferation education from major U.S. universities, a think tank, and a national laboratory. Below are more information on the panelists and their presentation slides available for download. Left to right: John Mattingly, Charles Ferguson, Gilbert Brown, Sara Pozzi, Rian Bahran, Bethany Goldblum, and Sumil Chirayath.